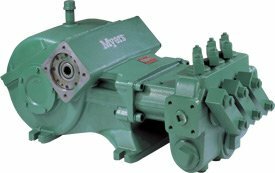 Myers Pumps Archives - Powerflo Products, Inc.
Superior equipment technology allows the versatility to machine the pump end from a selection of standard or optional materials. 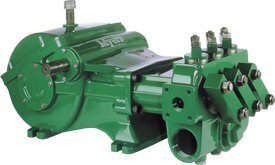 Removable cover section for easy service and is available with hydraulic drive adaption. 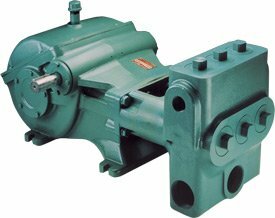 Slow operating speed reduces wear and prolongs pump life. The fluid end is available in ductile iron or aluminum bronze with flat valves, making routine maintenance easy without removing the pump from the system. 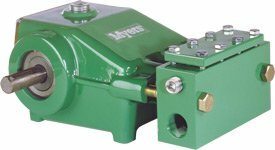 All the valve and piston assemblies are serviceable through convenient front and top openings. continuous splash lubrication. 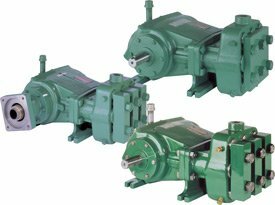 Pinion and gear are helical cut and machined from high-strength alloy steel, and can rotate in either direction. 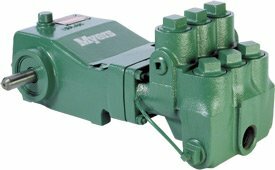 Valves are abrasion resistant for dependable service in the harshest environments. Extra-large oil reservoir provides superior lubrication, while insuring more effective cooling and less maintenance. 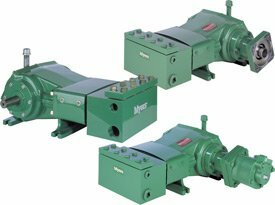 The crankshaft is field-reversible for application flexibility. 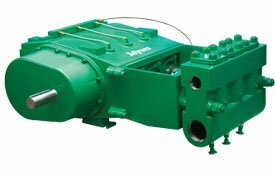 Easy access to suction and discharge valves means no need to remove pump from system for repair. Factory tested for continuous service with only simple, routine maintenance.